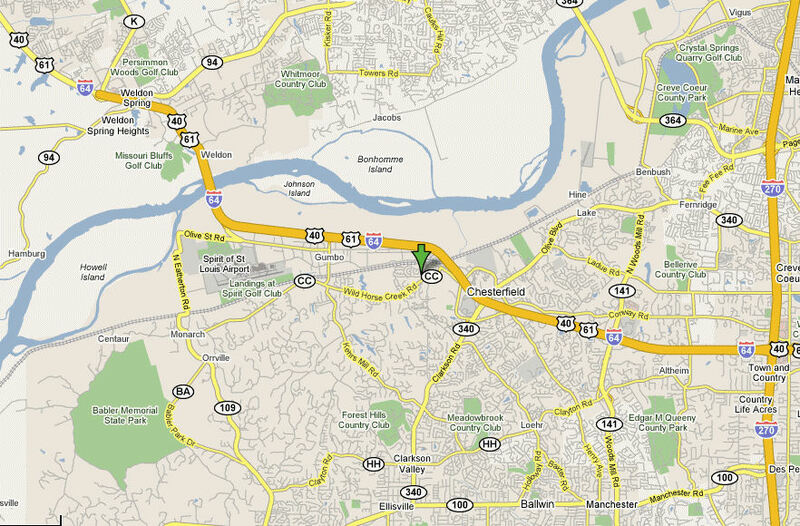 We currently deliver our signs within a 10 to 15-mile radius of Chesterfield, MO. This includes the municipalities of Ballwin, Brentwood, Clayton, Cottleville, Crestwood, Creve Coeur, Defiance, Des Peres, Eureka, Fenton, Glencoe, Grover, Kirkwood, Ladue, Manchester, Maplewood, Maryland Heights, O'Fallon, Richmond Heights,Rock Hill, St. Albans, St. Charles, St. Peters, Town & County, Valley Park, Wildwood. If you question whether you are in our service area, please contact us. If not in our delivery area, we may still be able to service you for an additional delivery fee (please call us). Sorry, but we do not deliver to Illinois. Click here to enlarge map above.